by marc / Friday, 08 February 2019 / Blog Category: Entertainment and Everything Vegas. If you haven’t been following, Xavier Mortimer left Planet Hollywood shortly after the debut of Criss Angel’s new show at the casino. Mortimer took his magic to Bally’s where he replaces Wayne Newton who is now performing at Cleopatra’s Barge inside Caesars Palace. The Bronx Wanderers have performed more than 800 shows for over 70,000 fans since opening at Bally’s more than two years ago. The father-and-son trio was voted the Bronze Winner of the “Best New Act/Show” by the Las Vegas Review-Journal’s Best of Las Vegas Awards 2017. Due to popular demand, they’re moving to a larger venue at The Linq. While the scale of the production will be larger, the group will continue to provide their fans with an up close and personal shows that appear larger than life. Guests can still expect to hear hits from throughout the history of Rock & Roll. 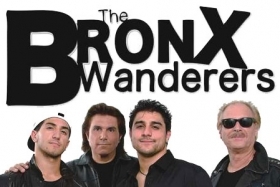 The Bronx Wanderers perform songs from Frankie Valli & The Four Seasons, Queen, Billy Joel, Bruno Mars, and more. The band will add some fun songs just for the new show at The LINQ. Jeff Civillico will continue performing his “Comedy in Action” show at Paris Las Vegas through 2020. Since 2012, Civillico has performed at The Linq and Flamingo before moving to Paris Las Vegas. “Comedy in Action” has become one of the most popular all-ages shows on the Vegas Strip. The show blends physical comedy, stunts, and juggling with family-friendly audience interaction. Civillico juggles everything from bowling balls to chainsaws to fire. He’s also known for balancing a twelve-foot ladder on his chin and maneuvers a giant unicycle.